THE English Premier League's two north London clubs made it a day of misery for Merseyside as Tottenham thrashed Liverpool and Arsenal put five past Everton. 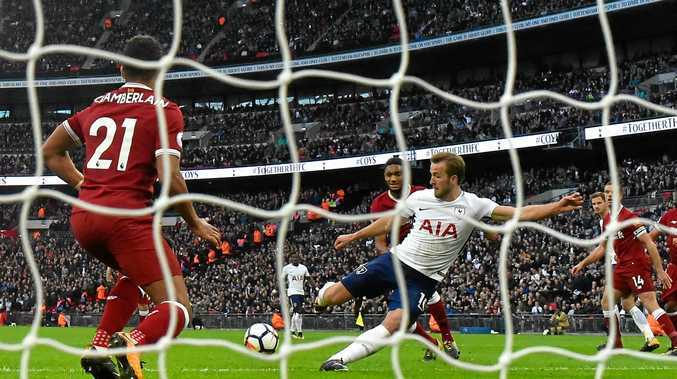 Liverpool manager Jurgen Klopp was again left lamenting some awful defending as Spurs virtually ended the Reds' hopes of an EPL title with a 4-1 hammering at Wembley. Harry Kane and Son Heung-Min scored inside the first 15 minutes with Dele Alli adding a third in first-half injury time after Mohammed Salah had replied for the visitors. Kane adding a second after the break to wrap up the points as Spurs moved to third in front of an EPL record crowd of 80,827 at Wembley that included Argentina's all-time great Diego Maradona and basketball star Kobe Bryant. Liverpool dropped to ninth, 12 points behind leaders Manchester City and Klopp, who substituted centre-back Dejan Lovren after 31 minutes, did not hold back in his criticism of his players. Klopp told Sky Sports: "The whole game the whole result was all our fault - Tottenham was good, they needed to be good, but we made it much too easy for them. "The first goal was a little throw in and we are not really there. It was just really bad, bad, bad defending. "The second goal was from a counter-attack, when the ball passed Dejan it was already too late. "If you were to shoot the ball another 500 times I'm pretty sure Dejan Lovren gets the ball. "I don't want to say too much but if I'm involved in this situation on the pitch then Harry cannot get the ball. "Coming back into the game with the goal we had our chances, but it's nothing to talk about today." At Goodison Park, Wayne Rooney scored the opener but it was all downhill from there for Ronald Koeman's men. His struggling team fell to 5-2 defeat to drop the Toffees into the bottom three. Nacho Monreal cancelled out Rooney's opener with the second coming from Mezut Ozil. Alexandre Lacazette added a third after Idrissa Gueye caught Granit Xhaka and was shown a second yellow card. Aaron Ramsey made it 4-1 in the last minute of normal time before Everton pulled one back through Oumar Niasse. Alexis Sanchez added a fifth for Arsenal with the last attack of the game.